A skyscraper-studded skyline. A culture of colourful traditions. A shopper's paradise. 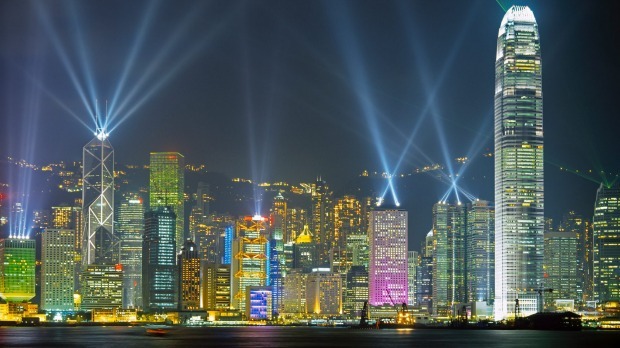 It is no surprise that for the seventh consecutive year, Hong Kong is the world's most visited city. Euromonitor International, a UK-based market research group, has revealed 26 million foreigners flocked to the Asian metropolis. The ranking, based on 2015 data, includes the number of travellers who visited the city throughout the year as well as data from international airport arrivals, accommodation stays and national statistics offices. Hong Kong has long attracted a wide range of visitors. From its plates of mouth-watering international cuisine and architectural heritage to its fusion of cultures, it is clear that there are many perks to this destination. Close to mainland China, it is also an easy getaway for Chinese travellers and rated highly for its access to brands and tax-free products. Its popularity, however, did face a 4 per cent drop in visitors in comparison to 2014. The report indicated that this fall was connected to the political climate. "Hong Kong faces increasing difficulties in maintaining its attractiveness, especially amongst younger Chinese travellers, amid rising tensions between Hong Kong residents and the Chinese ruling party," the report stated. Macau ranked 6th was another city that relied on the tourism of Chinese travellers and felt a drop of 1.8 per cent after after years of strong growth. The reports suggests a reason for the reduced number of visitors to city was because of the crack down on "corruption and illegal activity on the gambling tables" by the Chinese authorities in 2015. The Chinese decline was good news for some, as Bangkok climbed up the ranks to second place with a 10 per cent increase in traffic. About 18.7 million visitors chose to visit the capital, as its political situation stabilised. Five other Thailand cities also were placed in the top 100 with a surprising performance by the small northern city of Chiang Mai (51). London was the top-ranked city in Europe with international arrivals growing just short of 7 per cent (18.5 million). Analysts believe this was aided by the Rugby World Cup in late 2015. The UK economy, however, has raised questions about its future levels of inbound tourism with the play of "Article 50" and "Brexit" on everyone's minds. The Euromonitor report predicted "a recession in 2017 and potentially 2 million fewer international arrivals to the UK by 2020". Terrorist attacks in Western Europe in recent years has affected tourism to the region. The report notes a minuscule decline was observed in Paris but this is expected to drop further in the coming year. Nice (85) and Brussels (60) are also expected to feel a significant loss after being targeted last year. The taste of a European vacation, however, is still proving strong with countries such as Spain, Greece, Portugal and Italy continuing to grow in numbers. Japan emerged as a standout as it made its mark as a favourite tourist destination. Tokyo welcomed 35 per cent more visitors (8.5 million), Kyoto saw a rise of 46.7 per cent but the largest increase was Osaka (51 per cent). This impressive growth was connected to the growing appeal of the Japanese culture and travellers embarking on the Golden Route (a showcase of famous sights). Australia made the top 100 rankings, with Sydney the 59th most visited city and Melbourne sitting in 84th spot. Both cities showed significant increases, attracting 20.4 per cent more visitors then 2014. Which is your favourite city? Vote in our poll below. To subscribe to the Flight of Fancy podcast on iTunes, click here.